According to a video posted a few years ago, this particular squirrel was a former pet who reentered the wild once he reached adulthood. However, he still pops in to visit from time to time - and can't get enough of his onetime friend, the cat. He's beyond excited to see his former roommate, jumping and pouncing on him and rolling around in his fur - and the cat doesn't seem too bothered by it either. 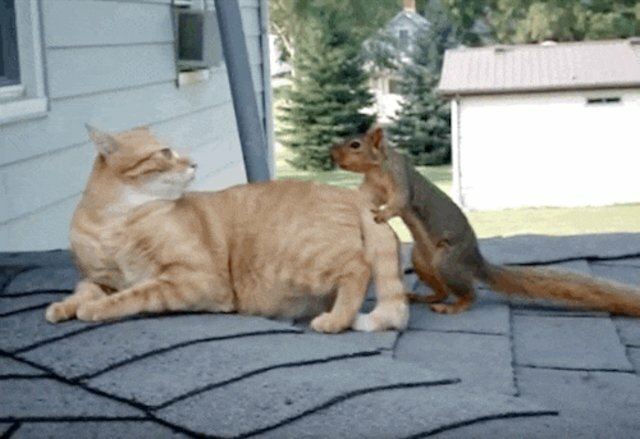 This little guy's backstory isn't clear, but it's generally inadvisable to keep a squirrel as a pet (after all, you wouldn't want him to think all cats are this friendly) - though he seems to be doing OK. But the video's a good reminder of just how intelligent squirrels are. 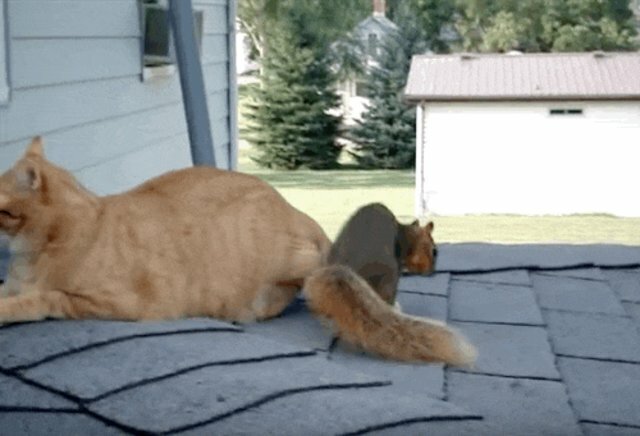 While we often think only cats and dogs are capable of familiar emotions like attachment to friends and unbridled joy, this squirrel proves that couldn't be further from the truth. Note: As mentioned above, keeping wildlife as pets is generally bad for both you and the animal (and is often illegal). If you find a wild animal in need of help, please contact your nearest wildlife rescue.